This well-established plumbing company provides complete services for commercial and residential projects. They focus on commercial customers, residential custom homes and major renovation projects. Their customer list includes commercial construction companies, builders and general contractors. The Company has an excellent reputation and is dedicated to outstanding customer service. They have both repeat customers and one-time projects. The current owner also owns the property in which the Company operates. It is available for sale or a long-term lease. Their employees are a great asset. Well trained, experienced with significant tenure, they contribute to the success of this business. 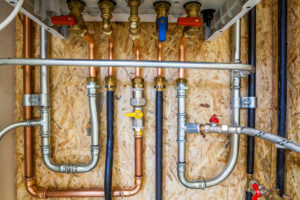 With possibilities for growth, this is a unique opportunity to acquire an outstanding business in the plumbing industry. Ready to retire, the current owner looks forward to transitioning the business to new ownership.